Turn an amazing photo into a puzzle you can have fun with and enjoy for many years. Personalized puzzles make a great gift for everyone. Create your picture puzzles today! 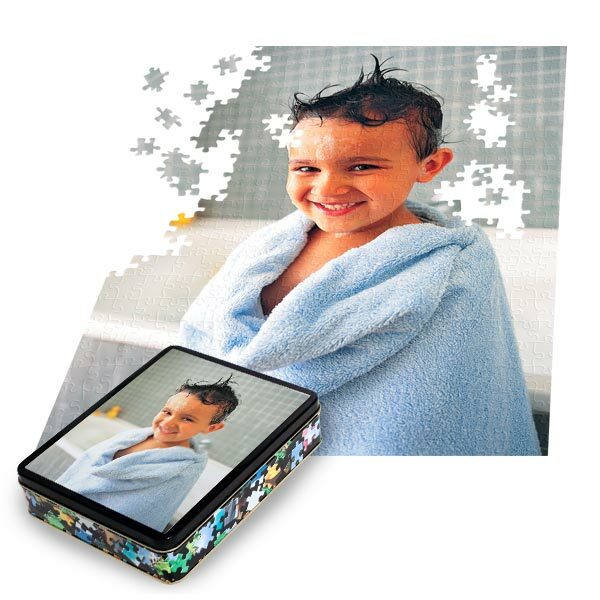 Custom photo tin are durable and complimentary to store your puzzle and use as a guide to piece your memory together. For more fun gifts idea, we offer other customizable gifts such as custom photo playing cards and toddler growth charts.